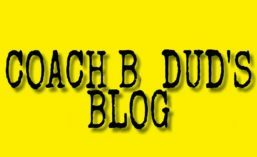 2 of the most common phrases in coaching are “get the ball to your playmaker” and “put athletes in space”. One drawback against “the spread” offense is is easy to get the RB touches, but it can be difficult to get a WR touches. In 2015, Ohio State took their former dynamic QB, Braxton Miller and transitioned him to being a WR. He did so many great things with the ball in his hands at QB that Ohio State had to make sure they continued to feed him the ball in his new position. We as coaches often find ourselves with a “tweener” or a shifty WR that we just need to get the ball to any way we can. Below I will explain several of the things Ohio State did to get their human highlight reel the football. Officially Braxton was a slot or “H” receiver. Below are a few clips of him showing his speed, quickness, and hands to catch the ball down the field. They already had a dynamic RB in Ezekiel Elliot, but using Braxton in the backfield gave them another lightning quick runner. 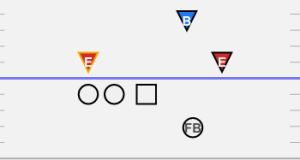 OSU would both align Braxton in the backfield pre snap, as well as motion him into the backfield just before the snap. Here is a clip of them motioning him into the backfield to run counter from a splitback set. Aligning him in the backfield became a great way to throw the ball to him as well. Aligning him in the backfield has 2 big advantages, it can match him up vs slower LBs, and it is easier for defenders to lose routes (not see them) if they come from the backfield. Here are 2 examples of him taking short, high percentage passes for good gains. The popular term for this would be “WildCat”. 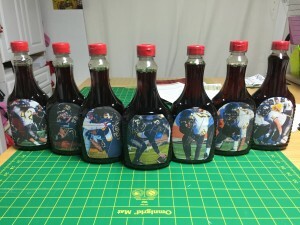 Put your best athlete at QB, let him run around and make plays. Ohio state used both designed QB runs and option style runs with Braxton. 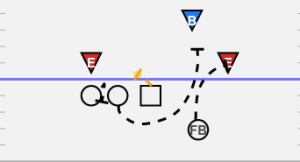 For option runs they used the “inverted veer” and “speed option” schemes. Braxton was familiar with these schemes from his 3 years playing QB and it added another wrinkle for the defense to defend. OSU used a variety of designed QB runs and backfield actions but one of the most common OL schemes was COUNTER. (I have written about Counter here, here, and here. 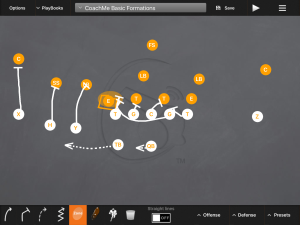 One last way to “feed the beast’ was to use Jet motion to get him touches and get him on the edge of the defense. Ohio state used 2 schemes with their Jet to get Braxton to the edge. 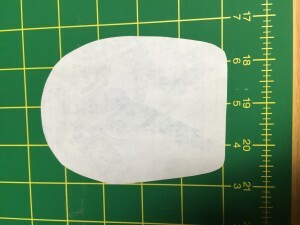 The first was to full reach or outside zone the Jet. The other was to cross block with the OT and OG. 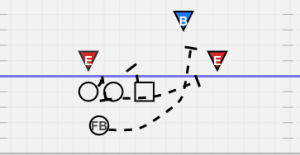 The down block from the OT was used to make the DE squeeze slightly and allow the guard to pull and try to run around him. Against a disciplined DE, this can be an easier way of getting the edge than fighting to reach him. Also, notice they use the touch pass to execute the Jet, rather than hand it off. Posted in College Film, Offense, Pass Game, Run Game, Spread. One of my favorite offenses to watch is Stanford. I admire how they pound the ball from various personnel groups and formations, and are able to get big plays in the play action game. Below I will break down a few of the different play action concepts Stanford uses with unyielding success. Power Pass – Basic concept used by most teams in the country. Stanford does this often to a Nub side, forcing the defense to condense down and defend a run heavy formation. This play aims to capitalize on a corner or safety getting over aggressive in the run game, and allowing the TE or back to get behind them. They bring the lone WR on a short motion, to make his drag route get across the formation quicker. One interesting thing Stanford does is to release the RB on the flat route and leave the FB in to block. Many teams slip the FB out and have the RB block on power pass. 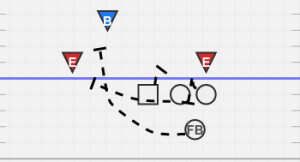 The OL slides away from the play and the FB blocks the playside edge. The RB fakes off tackle and attacks the front pylon of the end zone. In the clip below I break down a game clip of this play. 4. Wheel – In this concept Stanford fakes a perimeter run, in this case their Rb quick toss (with power influence blocking) . 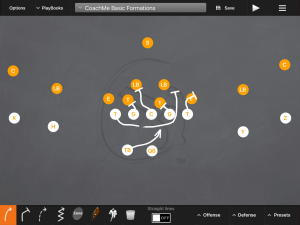 By stacking the WRs by formation, they are able to cross their route stems. The outside WR pushes vertically and settles inside. The slot works wide like he is attacking the corner to block him, and then turns it into a wheel route. 5. 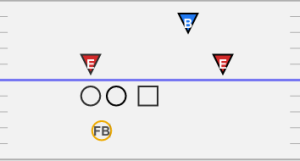 RB Wheel – From a 2 back (splitback) set, Stanford shows inverted veer, or power read in the backfield. The blocking scheme sets this play up. They would often have the single WR crack the LB, and put the playside RB (in this case Christian McCaffrey) on the CB. On this play action, C-Mac is actually running a wheel as the corner follows the #1 WR inside, and the safety flies up to aggressively force the run. Conclusion: Stanford is able to protect their best run concepts by having answers in the play action game. 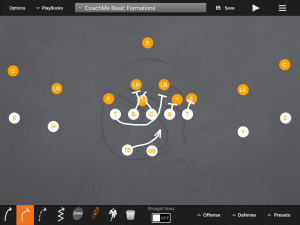 The play action pass concepts Stanford uses look just like their top run concepts, and are designed to attack specific defenders who are being overly aggressive, and vacating their pass coverage responsibilities in order to make plays in the run game. Stanford’s play action game is efficient, and is a balanced mix of quick hitting routes, vertical routes, and wheel routes. From the examples above it is clear that the wheel route in various fashions is a main concept in their offense and provides big play potential. In the clips above Stanford was able to get big plays on wheel routes to a slot, a FB, and a RB. Posted in College Film, Offense, Pass Game, Play Action Game, Pro. If you have watched any Stanford film from this season you have probably seen Christian McCaffrey running circles around defenders. They involve him heavily in the run game and return game but perhaps his most impressive skill is as a receiver out of the backfield. The core concept to feature his crazy agility, footwork, and cutting skills is the RB option route. Stanford primarily runs this from some form of 3×1. 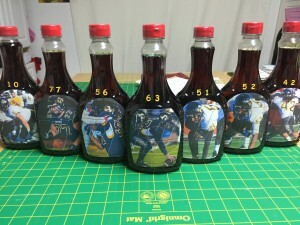 By putting 3 to a side they are able to stress the defense to covering up those WRs. 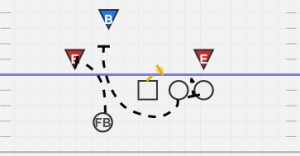 They have to keep a corner home on the backside against the single WR. This often leaves them with a 1on1 match up on the backside with C-Mac and a LB or safety. In Stanford’s case he is their best athlete period (most teams best player is their RB). It gets him matched up 1on1 against a player with lesser cover skills. Stanford can run any concept to the trips side. If the defense is playing 2 defenders over their 3 they can pick that side apart with their quick game. When the defense works 3 over 3, it is an easy decision to work the backside of the field and work C-Mac on the option route. They can run different things with the backside single WR but they typically will run him vertically to remove the corner from the equation. Stanford often uses a quick out concept to the trips side. 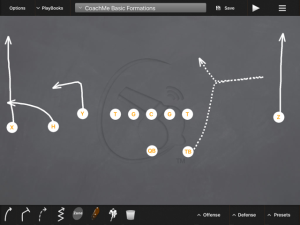 This is the exact play they use in both video examples below. The RB will work around the OT attacking the outside shoulder of the LB or safety over him. I have read that they try to push this to 5 yards of depth but C-Max often breaks this route sooner to make his move before the LB/Safety is able to get hands on him. Attacking the outside shoulder puts pressure on the defender. He has to decide what kind of leverage he wants to defend C-Mac with. If he stays heavy inside the Rb will break to the sideline and run away from the defender. If the defender opens his hips to the sideline or is playing with outside leverage the Rb will make a move out but break across his face attacking the middle of the field. In the 2 examples below C-Mac is abel to put the pressure on the defender, fake him outside, and cut across his face to a wide open middle of the field. Posted in College Film, Offense, Pass Game, Spread. Jet is not a huge part of our offense but it can be an effective way to get a speedy WR involved in the run game. It is also a good wrinkle to add some deception to your offense and help open up your inside run game. Jet motion puts stress on the defense and forces them to start moving guys to attack it (can be the DE, a LB, or a secondary player) or risk getting torched on the sweep. For my iBook I have combined the Jet sweep content (write up, cut ups, screen recording of video review) with the “Toss” content to make one iBook that essentially focuses on just our outside runs. In the past we have done it both from Pistol and with the Rb off set in the gun. I prefer to have the RB offset, it makes getting to his block much easier. This is the last of my iBook previews. All of the content for the iBooks is done. It is just a matter of putting the pieces together and making it available for download. I will keep you all posted about the release date. Posted in CoachBDud Material, Offense, Run Game.